Have you heard of the saying “healer heal thyself”? When I get off balance, my adrenals are the first to suffer. I have a bad habit of biting off more than I can chew (no pun intended 😉 because I get so excited about new work projects and healing opportunities that can help others with their health. While I’ve made a lot of strides in this area, learning to truly temper this habit will always be a work in progress for me. Ultimately, in order for true adrenal healing to occur, it’s crucial to gain control of our stressors and to have realistic expectations of what we can accomplish while retaining balance in our lives. When I first transitioned to the online model a few years ago, it was like working two full-time jobs for about a year. I was running a full private practice and managing a team, building two TV shows, and building an entirely new set of online courses and a brand new business model. I get tired just thinking about it. That time period in my life depleted most of the cortisol I had in my poor adrenal glands and I had hit a wall called stage III adrenal exhaustion. Insomnia, tired but wired, kind of depressed and a little bit anxious most of the time “for no reason”, no appetite, and no energy to exercise or do the things I usually enjoy. If you’ve ever experienced adrenal exhaustion, you know it can take its toll on every aspect of your life. So I sought out help and support to keep me accountable as I pulled myself out of this chronic stress cycle. 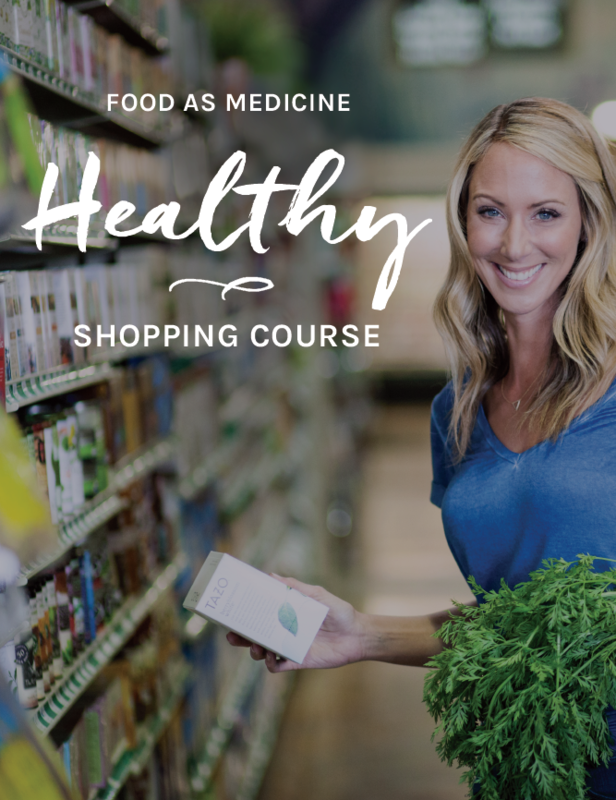 I worked with Jeanne Rubin at East West Healing and Performance because I really liked her approach to heal a broken metabolism (thyroid, adrenals, digestion) using only food, hardly any supplements and no lab work. I already knew what supplements to take and what my lab values were, I just needed to put myself first for a little while and to focus on using food as my medicine 6 times a day, every time I ate. Jeanne is a huge proponent of Ray Peat’s work, which advocates consuming animals, roots, and fruits in the ratio of 25% protein, 25% fat, and 50% carbohydrates (the RIGHT type of carbs, no refined stuff) in order to shut off the stress response, feed the thyroid easily and quickly, and make it easy on your GI tract. Within 3 weeks of eating like this, I was able to sleep better, turn off that wired feeling, and gain a little balance and emotional perspective. It took another 6 weeks to pull me out of the deep adrenal exhaustion (from stage III to stage II) and of course lifestyle and stress reduction is crucial. Only when I got past our first launch of our three-month online nutrition program (the irony of creating a program to help others heal from adrenal fatigue actually helped drive me into it, right?!) and closed my private practice did the external stressors let up. This change in lifestyle and some time off allowed me to go from stage II to stage I and it’s always a work in progress from there. I was literally working 14-hour days 7 days a week, so spending a lot of time cooking healing meals was not an option for me. I needed quick, easy go-to snacks and meals to make this work in my life during this time. This is why The Adrenal Healing Creamsicle that Jeanne recommended to me literally saved me (and consequently most all of my adrenal-fatigued clients at that time). I drank it every morning and for at least one snack in the afternoon or sometimes before bed or if I woke up in the middle of the night between 1-4am with low blood sugar and high cortisol. The Adrenal Healing Creamsicle was an awesome, easy tool to help train my body to go back to living in the parasympathetic nervous system (goodbye fight-or-flight response) and one you can also use to do the same. Blend it up into a delicious creamsicle, shake it up in a blender bottle, or pour into Popsicle molds and freeze (kids LOVE it). For adrenal healing/balancing, drink it as soon as you wake up and 1 other time throughout the day to keep your blood sugar balanced and your thyroid fed, which will help pull you out of metabolic chaos. What Are The Health Benefits Of The Adrenal Healing Creamsicle? Fresh squeezed orange juice is high in folate to support adrenal-fatigue induced depression. It also provides the liver with enough glucose it needs to regenerate while giving quick carbs to the thyroid so it can better work to regulate metabolism (like adding coal to a furnace). Collagen is loaded with amino acids, which are the building blocks for health. It is also helpful for thickening the intestinal mucosa (thin gut lining contributes to thyroid and adrenal disorders) and provides 12-16 grams of very easy to use protein, which is satiating and very helpful for those without an appetite. Pasture-raised raw cream provides the essential immune-boosting, brain supporting fat that will also slow the release of glucose in the OJ enough to provide balanced blood sugar. It also contains a calming peptide, which helps quell anxiety. Himalayan pink salt contains all 84 essential trace minerals that the adrenals and nervous system need to function properly. It is also alkaline-forming, so it helps support the body’s natural detoxification process. This drink contains the perfect ratio of fat, carbs, and protein to balance blood sugar, therefore assisting in proper metabolism, adrenal, and thyroid function. Who Can The Adrenal Healing Creamsicle Help? This drink is supportive for about 80% of people. If you struggle with bacteria or yeast overgrowth, you may not react well at first and would want to add this in after treatment. An alternative for those undergoing this type of treatment is to use 1 mug of bone broth with added collagen, coconut oil, and sea salt and to have it with a side of (1 cup) organic berries. You will get the same effect without feeding yeast or bacterial overgrowth and that is still a go-to snack for me as well. There’s more than meets the eye to healing from adrenal fatigue, so I’m not promoting this drink as a panacea but as one of the tools in your healing tool kit. I’ve included 5 of our most popular blog posts on adrenal healing, metabolism, and thyroid healing to help round out your understanding and tools to help you heal and recover. Let me know if you’re game to try The Adrenal Healing Creamsicle in the comments below and remember to “let food be thy medicine.” Don’t underestimate its power to take you from merely surviving to thriving. I’ve included 5 of our most popular blog posts on adrenal healing, metabolism, and thyroid healing to help round out your understanding and tools to help you heal and recover. Need More In-Depth Support For Healing Adrenal Fatigue? While The Adrenal Healing Creamsicle is definitely a great tool, you might need a more structured, in-depth healing protocol. If this resonates with you, we now offer an online program for healing adrenal fatigue. It’s called The Adrenal ReCode. It’s our most powerful and personal program to date, as it’s truly the culmination of my own “Whole Journey” – mind, body, and spirit. The Adrenal ReCode is a cutting-edge, food-based clinical program designed to help you free yourself from chronic anxiety, exhaustion, depression, insomnia, and overwhelm by teaching you how to ReCode your adrenals, rejuvenate your thyroid, nourish your brain and heal your nervous system, which allows the body to create lasting hormonal balance. Enrollment for The Adrenal ReCode 8-week course is now re-open by popular demand. Without a running game or reliable pass protection, besieged Ryan Tannehill struggled with accuracy for [url=http://www.cheapstitchedjerseys.us.com/]Jerseys NFL China[/url] much of the game, finishing 19 of 44 for 198 yards with two touchdowns and two interceptions. He was sacked three times, including twice by defensive end Muhammad Wilkerson, as the Jets utilized aggressive blitz packages. He’s second on the [url=http://www.cheaphydroflaskuksale.com/]Cheap Hydro Flask[/url] team in receptions (12) and yards receiving (206) [url=http://www.airmaxoutletschweiz.com/]Air Max G眉nstig Online Kaufen Schweiz[/url] and has three touchdowns, including two in Carolina’s 37-23 win over the Tampa Bay Buccaneers in Week 4. Collins was not at the draft [url=http://www.cheapjerseysfastshipping.us.com/]Authentic Jerseys Store[/url] Thursday night. He attended an NFL Play 60 event with youngsters on Wednesday, but did not talk to the media. How do I get a copy of the Adrenal Recode? I suffer from MAJOR Adrenal fatigue (on supplements), Hoshimotos, currently showing as Hypo stage. Major bloating, can’t loose weight and HIGH stress levels. A friend said this may be a good book/program for me to start. HELP! Did you leave out the cream of tartar for a specific reason? It’s supposed to bring potassium straight to the endocrine system. HI Justin- Thanks for writing, yes you can use cream of tartar if you’d like, as you mentioned potassium is very supportive for the adrenals and entire endocrine system. I went vegan and exercise after having a panic attacks and Adrenal Fatigue set in in less than two weeks. I did lost 20 lbs after cutting out all the unprocessed foods, sugars etc. I hired a natural doctor in Toronto who had adrenal problems in the past. Did you guys heard anything about Meyers Cocktail? I’m so confused… I have had adrenal fatigue for about a year and half now. I have read all the books I could find on the subject and tried to implement there suggestions. All the resources say not to drink fruit juice… especially orange juice. How do I know if this will work for me, and how do I know when to stop if it is detrimental to my health… Thank you. Where’s the recipe for the first thing in the morning protein drink? The one where it’s honey, protein powder, cream, coconut milk, coconut oil. Can’t find it. Hi Lisa, yes the creamsicle would be beneficial in chronic fatigue syndrome 🙂 as it will nourish the endocrine system. Just confused about using fruit juices my Dr said no citrus and especially orange juice? Also Dr Wilson says no fruit juices or fruit in the morning?? Hi Carla, we have found fresh-pressed orange juice, used in small amounts, to be VERY beneficial to the adrenals and the nervous system. We agree with not having fruit juice in large amounts first thing in the morning, however it can be a great option for healthy adrenal function if paired with a healthy fat and/or protein! Hi Christa! I’m vegan-allergic to animal protein, what can I use in place of collagen? Thanks! love your show! and I am dealing with a lot of anxiety so I am trying to support mu adrenal glands. Hi Bobbe, The vitamin C and natural sugars found in the orange juice are part of the reason this recipe works so well to support the adrenal glands. You can try substituting with pineapple juice as well. You may also be interested in other food based solutions to tackle anxiety. If so, please click HERE and you’ll be directed to Christa’s blog post. I don’t use OJ because of the sugar, but have found that using a whole food vitamin C powder, or a high quality Baobab powder, has worked wonders. Hi Joy, This is a fantastic tip! Thank you for sharing. I think I read on another blog of yours that can be drunk at night also to prevent the 1-4 am wake up. Is that correct? Can I use coconut oil instead of coconut cream? And if I don’t have the collages is it still good for the adrenals without it till I can purchase some? Hi Stefanie! Coconut oil cannot be substituted for this recipe, however you can leave out the collagen if you don’t have any on hand. It’s still quite beneficial for supporting fatigued adrenal glands. I love the idea of this, but wouldn’t the milk/ coconut milk curdle being mixed with the OJ? Hi Jackie, Since you aren’t heating up the cream it doesn’t curdle. Mix it up cold and enjoy! Hi I need help asap!!! The evolution brand OJ says out of stock on amazon and I can’t find any other normal priced organic OJ anywhere in the store or online. The closest I found was Lakewood Brand on Amazon but the price is 20.99 plus 30.99 for shipping. I need to make the adrenal creamsicle for my MIL. She is in a slightly delicate state so I’m partial to finding organic but also need to get results fast. Are there any other brands that you have found online? Or do you suggest I use the best I can find at the grocery store? Tropicana I saw does have an organic version but I don’t really trust any big name brands because the FDA is sneaky and any amount of money they let so much stuff slide. The price for the product of Lakewood was perfectly fine I just can’t justifying the shipping which doubles the price of the product. Thanks! Hi Nicole! Any fresh squeezed or cold pressed orange juice will work in this recipe. Have you checked a different section of just your regular grocery store? The Evolution brand is in the area where more of the “specialty” cold drinks are refrigerated, not where the Tropicana would be. Try buying fresh oranges and squeezing the juice out of them. I hope some fiber is ok to add to this – I peel most of my orange and toss it into my vitamin with the other ingredients. Looks like it would be about 6oz…! I am trying to find some help for the Adrenal/Thyroid while on strict Candida Diet. What to eat for 1 to 4am awake? … Trying to get back to sleep. Guess I could go to bed earlier! My husband and I will both try the creamsicle we both have hoshimotos and I think adrenal issues? Loved doing your Gut Thrive in 5 program Spring of 2016! Still working on my thyroid, but experienced great improvements. Actually, I’m sure my thyroid is an ongoing thing to work on! 🙂 What about using Bulletproof collagen? Am I missing out a lot by using coconut cream since I don’t do well with most dairy? Thanks! Hi Jen, To get the full benefits from the Adrenal Healing Creamsicle orange juice is best. Fresh squeezed orange juice is high in folate to support adrenal-fatigue induced depression. It also provides the liver with enough glucose it needs to regenerate while giving quick carbs to the thyroid so it can better work to regulate metabolism (like adding coal to the furnace). Do I have to use the hydrolysate gelatin or can I use the regular one that thickens in room or cool temp liquids? Hi Mary! Collagen hydrolysate dissolves easily in cold liquids. Regular gelatin is only hot water soluble and best used to create foods that gel. Our favorite brand is https://www.amazon.com/dp/B00K6JUG4K/?tag=wwwthewholejo-20&th=1. I live on an island where i can’t get cold pressed OJ, so can I use the whole organic orange? And just one ? Or two? And I am using coconut cream instead of cream for the same reason and hoping that that also has brain supporting fat? Hi Sharon! Sorry for the late reply. For this recipe, you’ll want to use only the juice from the orange. It all depends how big and juicy your oranges are, but you’ll likely need a few to get 6oz. of juice. When you do the candida adrenal recipe, how much collagen and raw cream, the 2 tablespoons of each like you list for the Creamsicle Adrenal recipe or a different amount? My husband and I tried the drink last night and immediately felt very sleepy almost drugged and felt nausea and light headed. Do you think I put too much sea salt in the mixture? Thanks for all your help. Hi Amanda! Raw cream has small amounts of tryptophan in it and that can make you drowsy. If you suspect it’s the salt, try an 1/8 of teaspoon next time and see how you do. Yes I would like to try the Adrenal Creamsicle. But can’t afford some of the ingredients. And where can I find Pasture Raised Collagen? taken on a lot recently and know this is taking it’s toll. Please advise. Christa~ you are so incredibly helpful and appreciated!! I have Hashimotos disease and was recently tested with slightly high am cortisol (20.7), adrenal/blood sugar dysregulation. Is this adrenal cocktail okay for me? Can I use Organic Peach nectar instead of OJ? 1) I just finished the Candida cleanse and did it strictly for 10 weeks with Candicid Forte at the end, but I still get sinking legs. Is the OJ too much to soon for me then? 2) I suspect that I am suffering from a adrenal fatigue. You mentioned in the blog above waking up hungry in the middle of the night. That happens to me constantly! Less often now since finishing the candida cleanse, but it still happens. I’m a tiny person, but I always eat a snack before bed. This would happen to me when pregnant or in early stages of nursing, but now i’m nursing an 18 month of once a day so i’m confused as to why i’m still waking up hungry. Could waking up hungry mean I have adrenal fatigue? Hi Christa. I have Stage 3 or worse AF–low cortisol all day, as well as low thyroid. I’ve be struggling for a while. I would like to take try this to try to keep my blood sugar balanced and thyroid fed, especially when I wake up at night (which is EVERY night). However, I recently had a stool test and came back as positive for pseudomonas aeruginosa. I don’t know much about this pathogen. Is this one that I’d want to avoid sugar for (and therefore the Adrenal Creamsicle)? Thanks for all that you do. I have tried this 2 mornings in a row – its both satisfying and delicious. instead of raw cream (cant have cow dairy), or coco cream (hard to find) i added 1 tablespoon of bovine Colostrum LD ( http://www.sovereignlaboratori…. Wonder if you have any thoughts about that product? It claims to be super beneficial for healing leaking gut. Thank you! 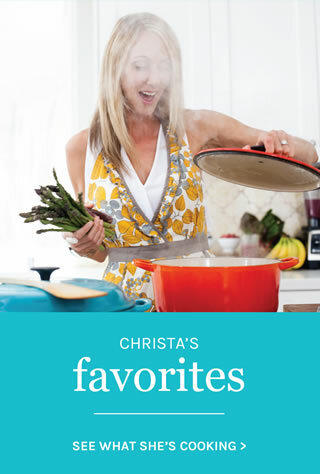 Christa – question, please, and would sincerely appreciate your input. My candida is ~finally~ under control, but I’m still extremely hesitant to use the o.j. And bone broth is time consuming if not in the flow of making it like in wintertime. ANY other substitutes I could use? Will this work with lemon? Wondering if I will get the same benefit from substituting pomegranate juice with orange juice I’m not able to tolerate citrus. I could even add spinach if that would add more folate. Any thoughts? Hi Christa! Just ordered the collagen and coconut cream – definitely going to try this out! I went thru your Candida cleanse last summer ? Thank you so much for all you do!! Is gelatin the same a collagen? I usually use Great Lakes grass-fed, unflavored gelatin…will it work the same? I’d love to use this to make popsicles for my kiddos! I’m working with Dr. Kalish and recovering from yeast overgrowth, thyroid issues and severe adrenal fatigue. My favorite drink right now is the Trim Healthy Mama’s Singing Canary which uses lemons instead of oranges. For now, I’m gonna stay away from this (due to the oranges) until I’m certain the yeast isn’t an issue, but I’m excited to have another yummy drink to try and to make for my family!! Great Terah – def do it once the yeast is under control and good luck with your hard work with Dr. Kalish. He is great. This sounds great, but where do I purchase these ingredients. I haven’t heard of any of them, except the orange juice! Follow the links in the blog Annette. I’m doing your GT5 program, Plan S, Week 3. Experiencing all your same symptoms Christa :(( Is this something I can have on Plan S? Or at what point can I add it in on the program? When I drink OJ on its own ( organic fresh squeezed). I get really bad canker sores. I have take me this as a food sensitivity. Is that most likely it? Because of that I am very hesitant to try this. Do you think the additional ingredients might help prevent the canker sores? Or is there only one way to know? Try it. Hi Christa. Since having my children, I have been ‘diagnosed’ with adrenal fatigue, leading to extreme anxiety and depression. I ignored it initially, but now, having started a business, I am taking a lot of strain and am making an effort to look after myself better. What is collagen (other than the stuff in your skin) and is there something that I could use as a substitute? I’m in South Africa and access to resources is limited. Yes Inge – having children can really deplete your adrenal glands. You can make this using a high quality protein powder = 16g of protein (just make sure it’s egg white, hemp, goat, or whey protein and not brown rice or pea which would be poor food combining). Let us know how you like it, Steph! Can this be made ahead and stored in the fridge? I just tried it with grass-fed low heat pasteurized half&half (can’t get raw milk here in CO without joining a cow share) and it is delish! Hi – thanks for writing! We would recommend letting it sit for no more than a few hours given the ingredients. Christa, for someone with adrenal and thyroid issues struggling with weight, wouldn’t a 50% carb ratio cause weight gain? Thanks Christa! How do you know when to cut back down on carbs? When energy and other symptoms resolve? I have stage 3 adrenal fatigue and so am very interested in the creamsicle. However, I react to both dairy and coconut. Could I use ghee instead? Keep us posted! It is powerful. Sure you can use ghee but then you’d have to blend versus shake it up in the blender bottle. Thanks for this Christa. It does sound both simple and delicious. I will definitely be trying it. Christa! You have helped me & my friend so much. Love your work and recipes! Thank you! Question: in your candida papers you say to take 1TABLESPOON Max B ND 2 x’s a day for adrenal fatigue. Is that a typo? The bottle says 1/2 TEASPOON…Does anyone know out there? it’s actually not a typo Michelle. It’s just for a short while to bring the body back. Would like to try this, the only problem is that we cannot buy grass fed collagen or gelatin here in South Africa. Is there an alternative to the collagen? You could try good quality protein powder at 16grams of protein Gillian. Thanks, I have managed to find 2 different brands of imported collagen powder which I am assuming will be good quality. It is very frustrating when we don’t have access to all the amazing things that you recommend. Cann’t wait to try the creamsicle! Thank you. Wouldn’t the quick releasing sugar from orange juice promote a blood sugar crash? 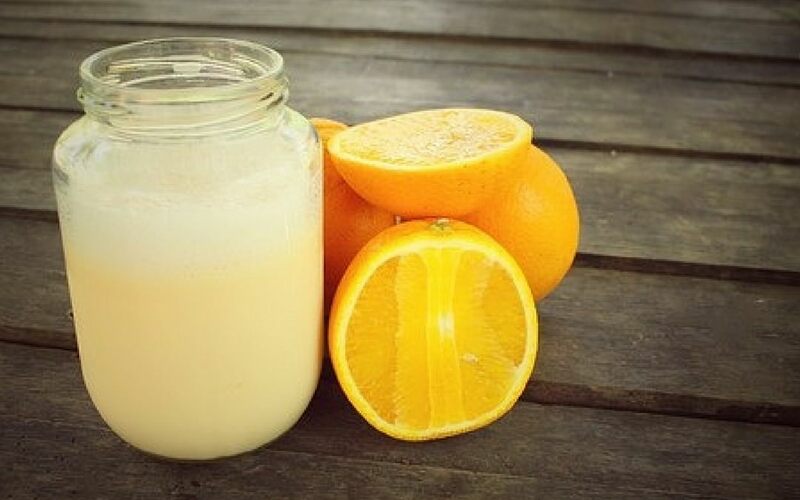 By itself, the sugar from the orange juice would probably do just what you suggest, but the collagen and the fat should help to significantly slow down the metabolism of the sugar in this drink. I wonder if it wouldn’t also be best to consume this later in the day, in case you are concerned about blood sugar issues. Hi, thank you for all of your helpful information. I have a quick question. Anytime I try to take the collagen I get really bad stomach pains. Do you know what the reason for this may be? I do not have yeast over growth or bad bacteria so I’m not sure why this happens. Thank you in advance. Hey Monica, it could be that you have a glutamate intolerance where the glutamine in the collagen is getting converted to glutamate or yes, could also be a histamine intolerance, in which case building your intestinal mucosa with something like GI Encap for a month should help tremendously. Thank you so much! I will have to check it out! I’m sorry, I have one more question. I take a digestive enzyme with meals so would it be ok to take the purerxo along with the enzymes?